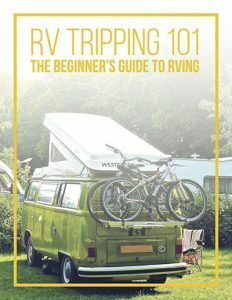 Newcomers to the world of motorhomes may be intimidated by the thought of towing a car behind an already sizable RV. In reality, it’s quite practical and safe to tow a vehicle behind an RV, provided you are equipped with the right RV tow bar. The best tow bars for RV allow for a safer, stabler form of towing with all four wheels touching the ground — termed flat towing or towing “four down.” It’s an ideal way to bring a secondary mode of transportation along for any trip. 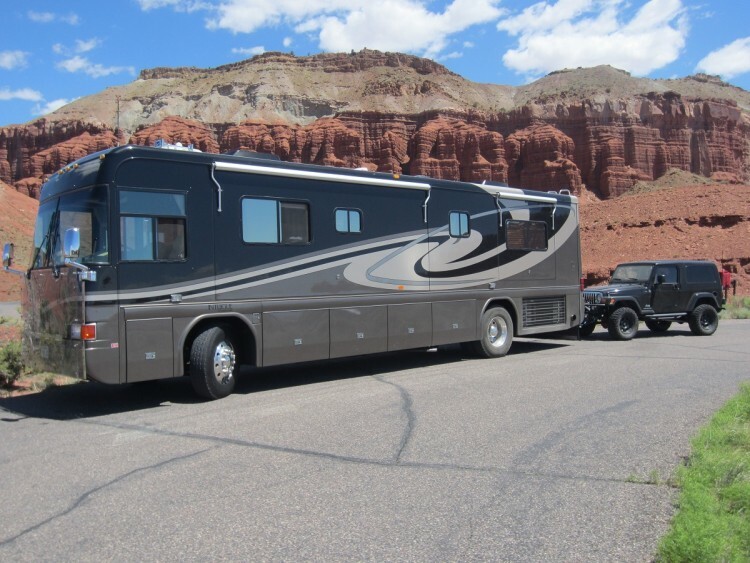 An extra car allows you to run errands, or go sight seeing without having to bring along the large RV. Below, you’ll find a brief guide for purchasing the right RV tow bars to ensure your towing experience is a great one. 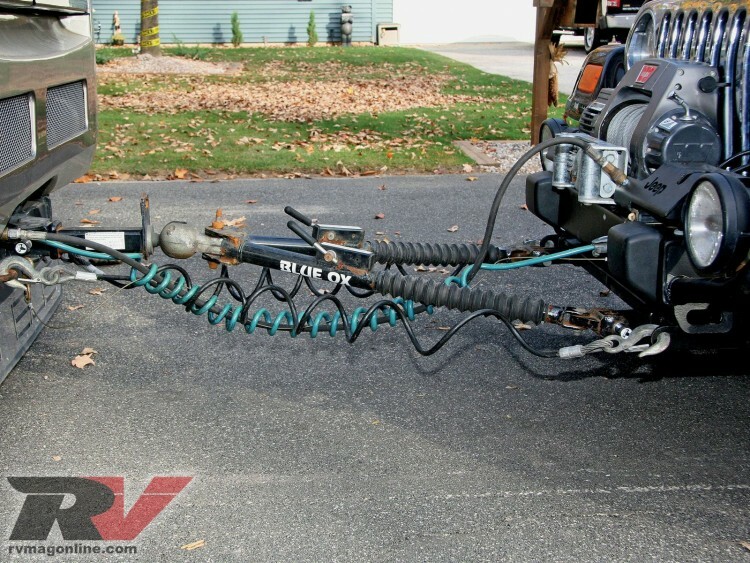 Nearly every car tow bar for RV towing purposes allows quick-and-easy one person attachment to the rear of the RV and the front of the vehicle. The instructions will be included with the tow bar, or are easily available online. 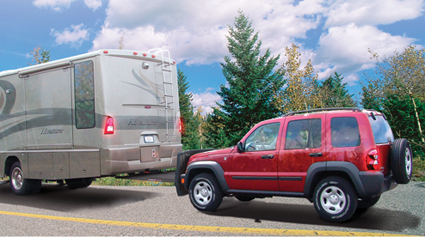 They’ll most often come with wiring cords to connect the car’s brake lights to the RV — it’s both dangerous illegal to tow a vehicle this way without working lights on the towed vehicle. If a tow bar isn’t properly equipped or packaged with wiring for lights, you may need to purchase a universal wiring kit and four- or six-wire electrical cord. Safety cables are also required by law when using a car tow bar for RV transport, as they keep the towed vehicle from coming completely loose should the RV car tow bar fail. Again, many tow bars come with safety cables and installation instructions. However, if yours doesn’t, you’ll need to purchase some for yourself. They’re sold in pairs and characterized by towing capacity. 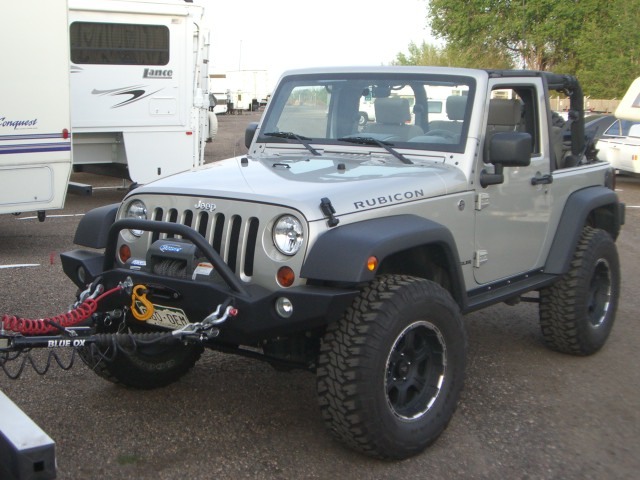 Check the specs for your tow bar to see if it works better with straight or coiled safety cables. You’ll also need to purchase towing brackets to suit the vehicle being towed. Many online sites and retailers sell these and have forms or guides to help you figure out which brackets fit your vehicle. The installation is relatively easy, requiring no welding or even drilling, but often taking several hours to complete. As with the safety cables, a tow bar for RV use has a limited towing capacity. Usually the towing capacity begins at 5,000 pounds and goes up to 1,000 pounds. The former or some other capacity near it should be fine for most private towing, while higher capacities are ideal for towing larger vehicles, though they cost extra for the added durability. Hopefully, you’ll know the vehicle or vehicles you intend on towing with your RV before purchasing. To find out your vehicle weight, simply check the car’s manual and decide from there what tow bar capacity fits your needs. If you’re an adventurous traveler in your RV, you may need to spring for a tow bar featuring an all-terrain upgrade. Essentially, this feature allows you to unhook the tow vehicle at uncertain angles and unlevel surfaces if you’re setting up on rocky terrain, where regular tow bars wouldn’t unlatch. Perhaps the most important part of this purchase is the receiver. If you purchase a tow bar that doesn’t match your RV receiver, you simply can’t tow. Unless you purchase an adapter, which only complicates matters further. Save yourself the money and hassle. Check your RV receiver and check the specs of the tow bars you’re considering to make sure they match up. Most RVs have a two inch square receiver, and most tow bars correspond to this standard, but it’s always a good ideas to check before you buy. Other features you might consider are shock-absorbing technology, adaptability, weight of the material, storage capabilities (many tow bars are collapsible or fold up to stow on the back of an RV) and finally, brand name. Quite simply, there is no definite best RV tow bar, no matter what brand you choose. Some are more expensive, and some are more shoddily made, unable to boast the same lightweight materials and sleek appearance of pricier competitors. There’s a vast array of tow bar retailers, and an even wider range of price points available for consumers. 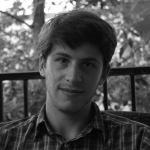 Look for positive user reviews and added features in order to get the best value. 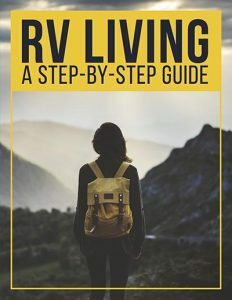 Once you’ve weighed all the factors and made your ideal purchase, simply install and embark on your first tow bar RV adventure.